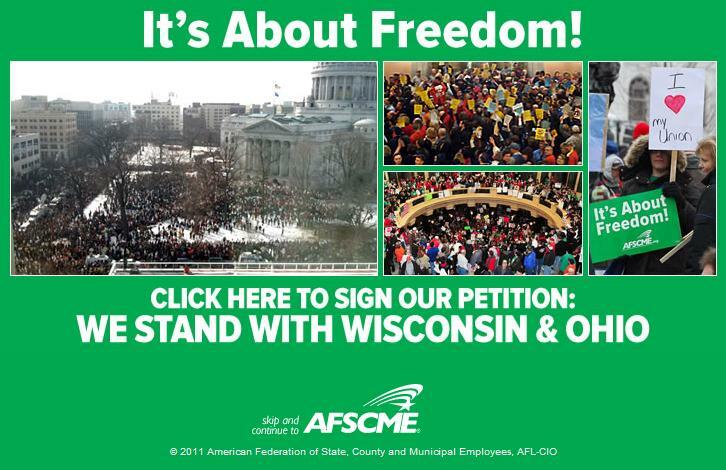 While several unions and a multitude of Marxist groups are involved in the Wisconsin and other state capitol protests, the lead organization is undoubtedly America's huge public sector union, the American Federation of State, County and Municipal Employees (AFSCME). While ostensibly about preserving public sector union collective bargaining 'rights', the protests are really a confrontation of values. AFSCME wants to preserve and expand union power in an increasingly government dominated economy. This essentially a battle between certain socialism and the possibility of freedom. Am I exaggerating? 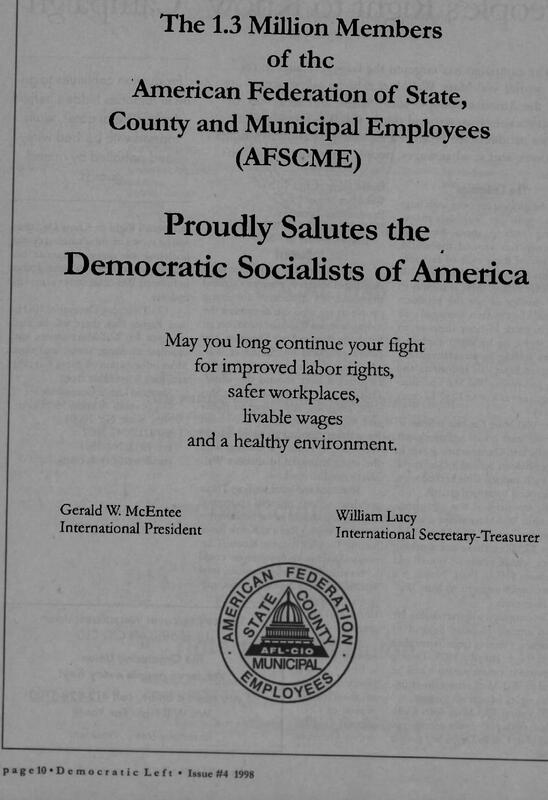 Where is my proof that AFSCME has a socialist agenda? The proof lies in AFCSME's leadership - much of which is allied to the U.S.'s largest Marxist organization Democratic Socialists of America. Gerald W. McEntee - Long time AFCSME International President was part of the movement which made D.S.A. member John Sweeney President of the AFL-CIO in 1995 - which marked the beginning of the socialist/communist re-conquest of the U.S. labor movement. McEntee has been involved in several D.S.A. led organizations including Campaign for America's Future and the Economic Policy Institute. McEntee's long time No 2 man former AFSCME Secretary/Treasurer William Lucy (retired 2010), was a confirmed D.S.A. member, with an affiliation to Communist Party USA creations such as the Coalition of Black Trade Unionists and the National Anti-Imperialist Conference in Solidarity With African Liberation. McEntee and Lucy, on behalf of AFCSE, placed an advertisement in D.S.A. 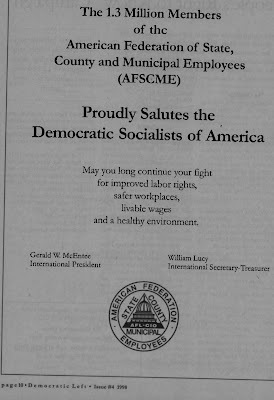 's Democratic Left, Issue #4 1998, page 10, "AFSCME proudly salutes Democratic Socialists of America". Lee A. Saunders - William Lucy's replacement as AFL-CIO Secretary/Treasurer is a very well connected activist. Saunders serves as a vice president of the AFL-CIO Executive Council, which guides the daily work of the labor federation. He is an at-large member of the Democratic National Committee, treasurer of the leftist Leadership Conference on Civil and Human Rights and a member of the Executive Committee of the Congressional Black Caucus Institute's 21st Century Committee. In addition, Saunders serves on the board of the George Soros funded Progressive States Network, which supports "progressive state legislators with research, policy, communication and strategic resources". Paul Booth - A real power in AFSCME, Booth serves as Executive Assistant to Gerald McEntee, and is regarded by many as the 'brains' of the organization. Booth is one of America's key leftist activists. In the 1960s he was National Secretary of Students for a Democratic Society. 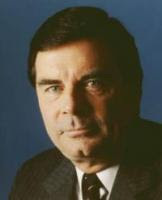 In 1986 and 1990, Booth was named in D.S.A. publications as a member of that organization. Paul Booth is married to prominent Democratic Party activist and D.S.A. 'friend' Heather Booth, founder of the infamous Alinskyite radical training center, the Midwest Academy. Both Paul and Heather Booth serve on the Midwest board alongside DSAer Nancy Shier, Cathy Hurwit (representing DSAer and Illinois Democratic Party rep. Jan Schakowsky and D.S.A. affiliates Jackie Grimshaw (once Barack Obama's Hyde Park next door neighbor) and Jackie Kendall (2008 trainer of Camp Obama activists). Several AFSCME International Vice presidents also have D.S.A. ties including Henry Bayer and Roberta Lynch of Illinois and Henry Nicholas of Pennsylvania. There is no doubt that D.S.A. sees labor 'struggles' in socialist terms. In an article in D.S.A. 's Democratic Left , Spring 2007, D.S.A. National political Committee member David Green of Detroit wrote in support of the Employee Free Choice Act, often known as "card check". That is the real issue here. AFSCME and their D.S.A. comrades understand that this is a 'class' battle, a 'struggle' to advance socialism. They understand that the winner of this battle gets to decide America's future. While very few of the firemen and teachers putting their bodies on the line for AFSCME would realize this, they are merely pawns in their leadership's Marxist agenda.